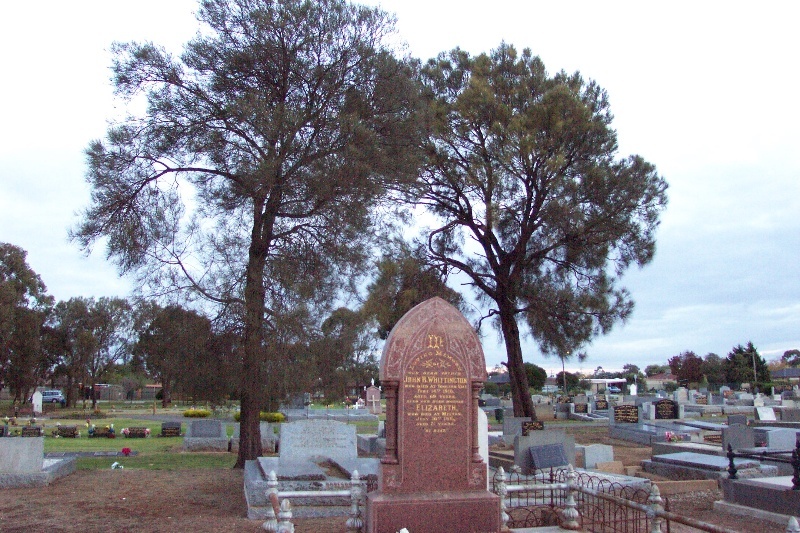 The Melton Cemetery on the corner of O'Neills Road and Centenary Avenue is significant; as the only official cemetery to have existed in the Shire of Melton; for its historical and social significance to the district; for the architecture of its headstones and graves; for its relatively meagre beautification, which is to some extent expressive of the distinctive dry climate and rocky ground of the district, and as the place of interment of locally and nationally notable persons. The Melton Cemetery is architecturally significant at a LOCAL level (AHC D2). The architecture of many of its headstones, and the arrangement of many of its graves, portray changes in style and taste since the 1860s; a number display a skilful use of carved marble. The cemetery is a good example of funerary customs and tastes dating from the mid-nineteenth century in a predominantly rural district. The Melton Cemetery is historically significant at a LOCAL level (AHC B2, H1). It is thought to contain the remains of numerous Aboriginals, and the remains of many of the district's early European settlers. Its headstones record much of the history of the area. Famous horticulturalist Baron von Mueller originally chose trees to beautify the cemetery. While it is unlikely that any specimens of his exotic species survive (two associated with him are thought to have been removed, and the few exotic species that survive in the cemetery are poor specimens), the she-oaks that predominate today were also a major species recommended by von Mueller. 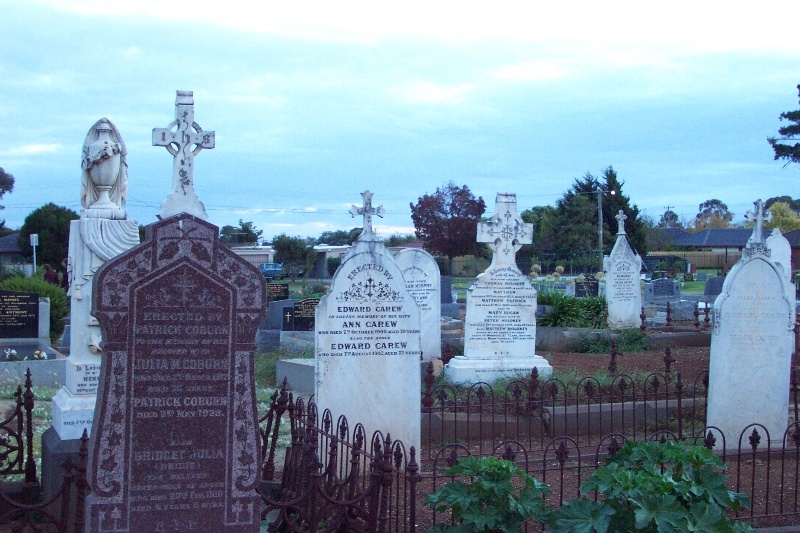 Although far from traditional in terms of its plantings, the cemetery is a prominent example of the thwarted attempts by Europeans to establish traditional plantings in the dry and bushfire-prone climate, and on the rocky ground that characterises the Melton district. The Melton Cemetery is socially significant at a LOCAL level (AHC G1). It is valued by many of Melton's residents whose ancestors, family or friends are buried there. 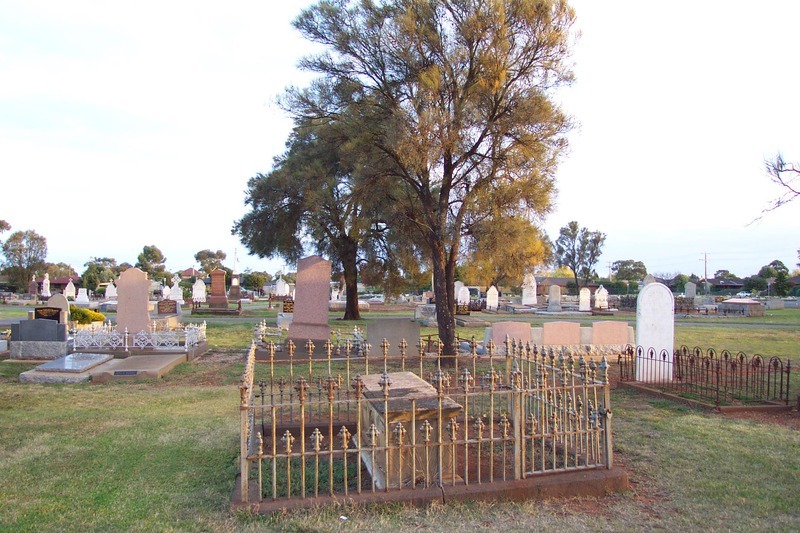 The cemetery is a 2.4 hectare plot of rectangular land on the south-east corner of O'Neills Road and Centenary Avenue Melton. It appears to contain no historical strutures or fencing. Its landscaping is dominated by She-Oaks (Casuarinas stricta), with only a few mature exotics, mainly Monterey Pines (Pinus radiata). Its grave sites and headstones date from the 1860s to the present, portraying the variety of headstone design, burial customs, tastes and wealth over that period. There are many beautiful nineteenth century monuments, generally the earliest being simple, and becoming more elaborate in the late nineteenth century. The renovation program undertaken by the Shire since 1997, including columbaria and beam plinths in lawn gravesites, adds interest to the old section of the cemetery. The cemetery may have archaeological significance, providing potential to discover more about the early burials and lifestyles, including of the early Aboriginal inhabitants who are thought to be interred there. Melton Historical Themes: 'Community'; 'The Aboriginal People'. Physical Condition - Good. Although numerous individual graves are in poor condition. Integrity - Substantially Intact. Although individual graves have been damaged/disturbed.